This is definitely one of the spices we use most often. Many can not imagine a meal without the addition of even a pinch of white crystals, thanks to which the taste of the dish becomes clearer. Although you do not need to remind anyone that its excess is very dangerous to health, we still have a tendency to abuse it. There are now many substitutes for traditional salt on the market, offered as its healthier alternative. Is it really worth reaching for it? In contrast to salt, it is a mineral extracted in the form of stones or lumps. In its composition we find many valuable components – calcium, manganese, chromium and copper. It is important, however, to choose this unpurified one. Depending on where it was extracted, the rock salt may have different flavors, colors and different properties. Black volcanic salt from Hawaii is given as an example of a product with a strong antitoxic effect and having a positive effect on digestive processes. The Maras salt, called the pink Inca salt, is also eagerly bought. Extracted in the Andes at an altitude of about four thousand meters above sea level, it is free from pollution. It owes its color to its constituent elements: iron, magnesium, zinc and copper. This type of salt owes its name to the way it was created – because it precipitates during the evaporation of strongly saline sea water. Against the background of others it is distinguished by slightly lower sodium content and a large amount of minerals. Is considered a source of almost all macro and micro nutrients necessary for the proper functioning of the body, including potassium, magnesium, calcium, selenium and lithium. Due to its purifying effect, it is often used in the cosmetics industry. By removing accumulated toxins, it improves the condition of the skin, thanks to which people struggling with acne or cellulite eagerly reach for it. 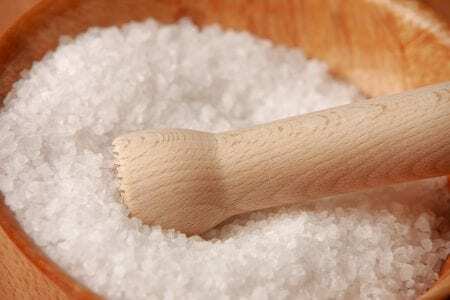 The most often recommended substitute for traditional salt is sea salt, which is considered the healthiest. It turns out, however, that not everything that the “natural” patch is attached to is safe for us. There is no scientific evidence that it is less of a threat to the body. Like the others, it contains less than the other, but still harmful, amount of the sodium chloride mentioned. There is also a doubt that the value of these micro nutrients is of value. Their content is so low (although of course higher than other types of salt) that the body does not feel any difference. The best solution is therefore resignation from salt in favor of blends of spices, which not only improve the taste of the dishes, but also improve digestion. Basil, tarragon, thyme, coriander and lemon balm will make our cuisine much more friendly for both adults and children.